Hey fellow Hoosiers.....has anyone dipped anything lately? How about some pics of your work! We are located just west of Indianapolis in Brownsburg. Motorsport Dynamics Intl. Only authorized installer in central Indiana. We are actually dipping a mazda 3 hatch anthracite right now. We dip full cars, rims, badges, bikes, and just about anything else we can get our hands on. 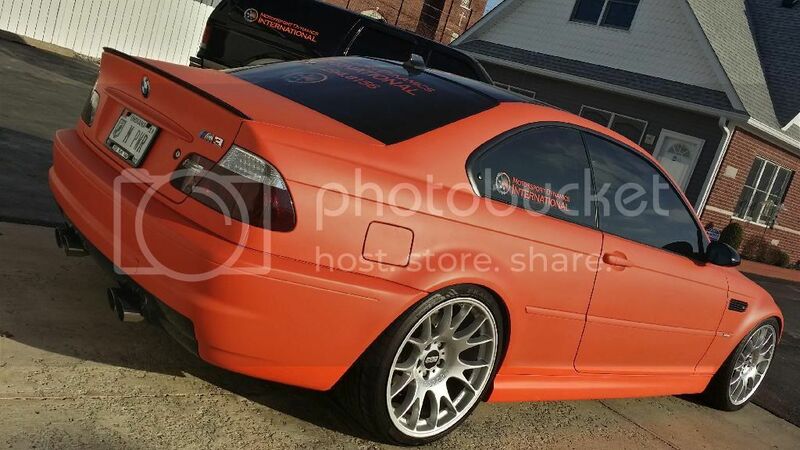 Here is an E46 M3 we sprayed koi orange. I am located in central Indiana as well. How much would something like the job you did in the pictures cost? Our price is $699 for a full car 1 color. Extras such as metalizer are an additional $100 give or take depending on the complexity and time it takes to apply the top coats. 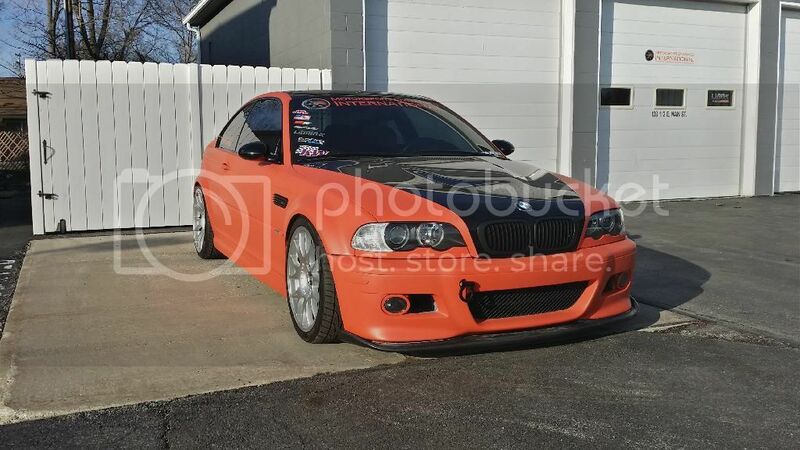 That m3 is just straight koi orange. Each dip job is slightly different tho. You can PM me for more info and an accurate quote if you would like! Last edited by CamMDI; 04-28-2014, 04:16 PM. hello names Derrick aka Dwreck. Been plasti dipping since last year have done a large number of wheels, full car and more coming up this spring. Hope these picture show up for y'all to see. Just couple jobs I have done. 2000 cavalier. Bottom is dipped in flat black. Wheels taped off and dipped in Orange. 2005 Pontiac vibe full dip job from red to a custom pearlizer and flat black Mixture. Done a few jobs for lot cars and they have been sold with my work done on them. Wheels, trim, emblems. Located in Greensburg, Indiana. Central Indiana here. Southside of Indianapolis. Asylum Autowerks will be applying for Authorized installer and Wholesaler shortly. Last edited by Black Krack; 04-13-2015, 03:15 PM. Visit my profile page for a free friend request!!! Just moved to Fort Wayne from Idaho. I've dipped a couple cars, couple sets of wheels, just wondering if there's anyone in my neck of the woods dipping too. Yes, we have an Authorized Installer in Georgia! Are you interested in getting set up with us as an Authorized Installer or are you looking to take your vehicles somewhere to have them Dipped? If you are interested in our Wholesale Program, please don't hesitate to fill out our online application or contact us at 855.847.5825!